Ford vehicle owners are urged to check with their local dealer as more models have made the recall list. The National Highway Traffic Safety Administration is urging owners of the 1998 to 2003 Ford Windstar minivans to bring their vehicles to the nearest dealership for immediate examination. These vehicles have reportedly shown signs of real-axle corrosion, according to a release by the United States Department of Transportation. Boston car accident lawyers understand the risk of defective vehicles. We urge motorists to get their vehicle into a dealership if they are issued a recall. Nearly 500,000 of these Windstars in salt belt states are seeing a recall because of a defect that typically causes the rear axle of the vehicle to weaken and crack after exposure to salt corrosion. If these cars go without correction, the rear axle could suffer a fracture, increasing the risk of a car accident in Boston and other areas that experience salt exposure. A recall can be ordered one of two ways: either by the NHTSA or independently by the manufacturer. Either way, these recalls are required to provide information regarding the make and model of the vehicle involved, the defect that caused the recall and how to contact the company to correct the issue. These recall repairs must be offered to the owner of the vehicle at no charge. This free repair must include replacement, repurchase and repair labor. Cars.com reports that more than 10 million cars were recalled in the first six months of 2010. In attempt to correct these recall problems before they affect consumers, the NHTSA is now stepping in earlier by probing automakers when a complaint is received. The federal agency may even see more power and oversight over the automotive industry is Congress gets its way. Safecar.gov, a service provided through the Department of Transportation, allows to you to search your vehicle through a list of recalled vehicles. Be sure to know you vehicles year, make and model when searching the database. You can also sign up for automatic email updates of any new recalls specific to your car, tires or child safety seat. Underride guards on tractor-trailers have recently been proven inadequate and unsafe in Boston car accidents. Impact in low-speed crashes often times results in deadly consequences according to recent studies conducted by the Insurance Institute for Highway Safety (IIHS). Boston personal injury lawyers understand the severity of these failing underride guards and urge you to practice safe and alert driving when sharing the roads with tractor-trailers. The IIHS has estimated that more than 5,000 passenger vehicle occupants are injured every year when their vehicles collide with the back of large trucks — more than 400 people die in these accidents. 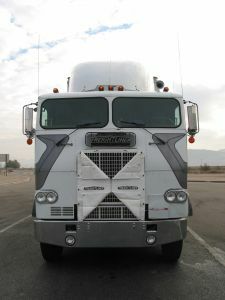 In the study conducted by the IIHS, three tractor-trailers were used: two carrying the underride guards of Canadian standards and the third meeting the U.S. standard. The results from the U.S. tractor-trailer raised questions about how and why these guards failed. The study also determined that the lower-speed accidents were the ones with the worst results. The Canadian vehicles were able to stop the car before possible injuries reached the occupants of the passenger vehicle, while the tractor-trailers meeting U.S. standards caused damage that would have surely injured, if not killed, any font-seat occupants. “You might be riding in a vehicle that earns top marks in frontal crash tests, but if the truck’s underride guard fails — or isn’t there at all — your chances of walking away from even a relatively low-speed crash aren’t good,” reported the IIHS. “Damage to the cars in some of these tests was so devastating that it’s hard to watch the footage without wincing. If these had been real-world crashes, there would be no survivors,” said IIHS President Adrian Lund. Toyota Motor Corporation can breathe a sigh of relief after a recent announcement by the U.S. Department of Transportation. regarding an investigation into unintended acceleration in certain Toyota models. Toyota has been under tremendous scrutiny the last several months for producing faulty parts in vehicles which have led to serious accidents all over the country. Our Boston personal injury lawyers want buyers to beware prior to purchasing their next vehicle. Despite the outcome of the recent investigation by NHTSA, car manufacturers produce thousands of vehicles a year and it is the industry’s responsibility to make sure they are safe and functioning properly. The government made its announcement after testing fewer than 100 Toyotas. Toyota sold more than 8 million vehicles last year. Faulty parts like accelerator pedals and floor mats causing the car to accelerate without the driver operating can lead to a serious or fatal Boston car accident. The National Highway Traffic Safety Administration (NHTSA) employed engineers from NASA to study and test potential electronic causes of unintended acceleration in certain models of Toyotas. NASA engineers, experienced in computer controlled electronic systems, software integrity, and electromagnetic interference; found no electronic defects in Toyota vehicles. -Look into the placement and design of brake and accelerator pedals to determine if placement can be improved. -Administer research on reliability and security of electronic control systems. -Require that event data recorders and brake override systems be installed in all passenger vehicles, as well as, making keyless ignition systems a standard operation by the end of this year. It should be noted that Toyota recalled almost 8 million vehicles in the last 2 years for the sticky pedal and pedal entrapment by floor mats. Failure to recall in a timely manner led to $48.8 million in civil penalties cited by the government for these actions. Insurance companies are gearing up to recover losses from Toyota on claims insurers paid for accidents caused by defective vehicles, the Associated Press reported. Toyota owners may also be eligible for reimbursement of deductibles and out-of-pocket medical expenses. However, consulting with a Boston car accident lawyer experienced in handling defective vehicle claims is the best course of action for anyone dealing with a traffic accident involving a defective vehicle. The move by some of the nation’s largest insurers, including Geico, State Farm and Allstate, is the latest setback for the embattled automaker, which has recalled more than 6 million vehicles this year amid reports of sticking gas pedals, faulty brakes and other safety issues. And the problems continued last week after Consumer Reports issued a rare “Don’t Buy” warning against the Lexus GX 460 SUV, part of Toyota’s flagship luxury line, amid concerns about possible rollover accidents. Toyota issued a recall after the report. The NHTSA has linked 52 deaths to claims of sudden acceleration in Toyotas. More than 100 personal injury and wrongful death lawsuits have been field across the country. Those suits are currently being consolidated by a federal judge in California, along with more than 100 suits from Toyota owners claiming they have been financially harmed by the falling resale values of their vehicles.